Political Animal Australia • View topic - Climate researchers are in it for the money! Climate researchers are in it for the money! 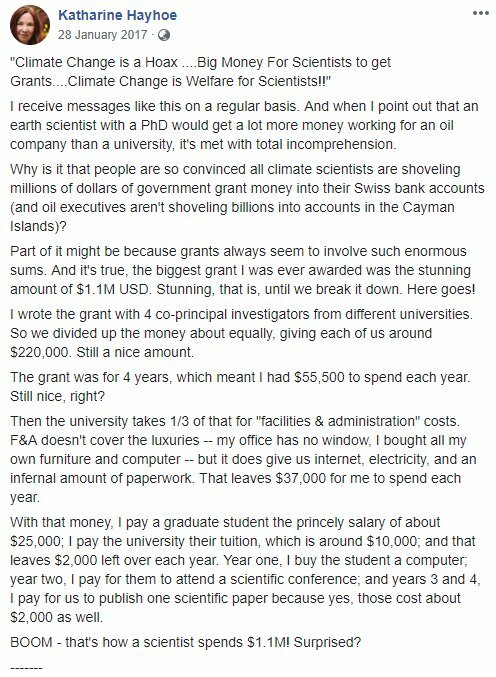 Re: Climate researchers are in it for the money! Certainly not doing it for the grants money! Haydoe appears on Twitter at times. So many fuckwits posting about an ice age from “the” GSM. I try to tell them: the 21st century is not the 17th century. We have about 50% more CO2 (and methane etc) in the atmosphere, that the Maunder Minimum did not create the LIA, that the LIA was not a real ice age and that we have warmed 1.2°C since 1880 etc.